Step aside Choupette, there are new fashion hounds in town. Hot models and cute dogs. What more could you ask for? That’s exactly what photographer Gerrard Gethings thought when he discovered that Next Model London agency were all crazy about their dogs. Boss Amanda Bretherton’s pooch Alfie (@Alfiefashiondog) has nearly 44,000 Instagram followers – which is almost as many as Karl Lagerfeld’s cat Choupette – and many of her hottest models have faithful four legged friends of their own. And so a photo project was born. If you feel inspired by these canine cameos to make your own pet a star, check out our video for phoDOGraphy tips from Gethings and his faithful assistant Baxter. Alice Dellal with her Rottweiler/Staffie cross, Penny. 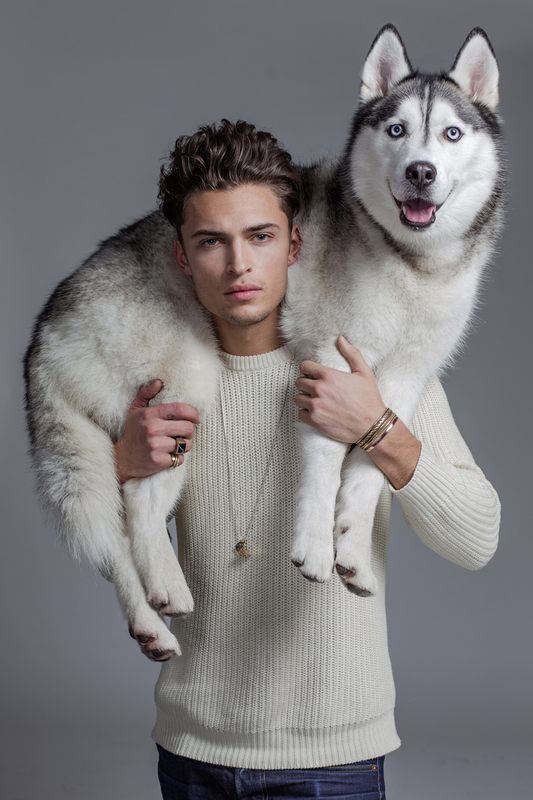 Harvey Newton-Haydon with his Husky, Xavier. Lucy Gascoyne with her Pug/Border terrier cross, Mavis. 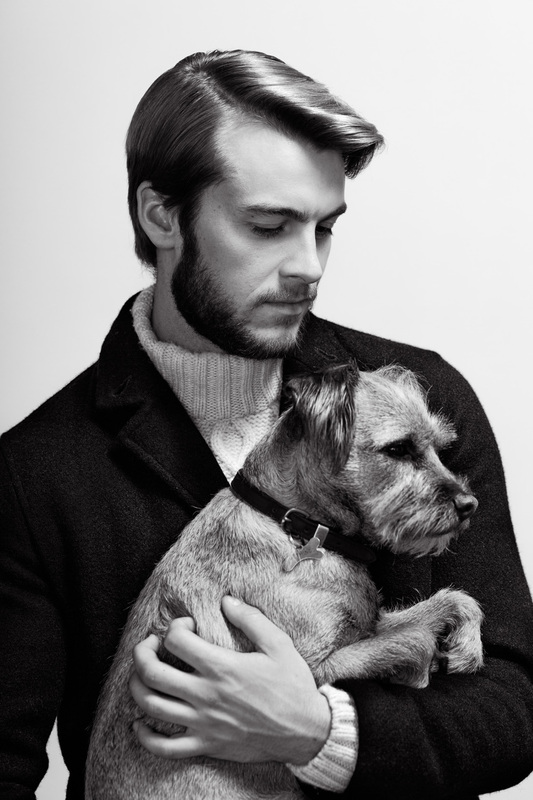 Miles Bugby with photographer Gez Gethings’ Border terrier, Baxter. Leah Weller with her Chihuahua, Luna. Aniko Michnya with her Yorkshire terrier, Max. Imogen Waterhouse with her Jack Russell, Billie and Labrador , Dido. All Photographs © Gerrard Gethings.